But, situations and circumstances drive us round the bend! Dear God, hope your shelter & management-power you'll lend! My 55-words poem for ABC Wednesday- M is for Management (of many things like emotions!). Looking forward to better manage thoughts & emotions! 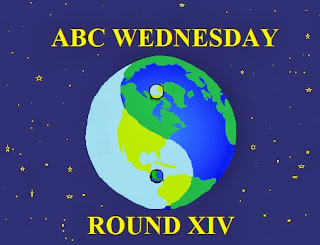 Thanks for your contribution to ABC Wednesday! Management is important if done properly. True, management is very important. :) Good one for 'M'. Management of anger is the need of the hour! Oh I so need to manage my emotions today! One of those days and a perfect post for the day! Thanks a lot Naba :) We all need to manage emotions everyday! Managing emotions? The toughest thing to do! Well said in M - Management. Without that M , life couldn't be easy ...cheers ! True, Uma :) This M makes us manage! too good. There have been compromises in our lives which made us not turn all our dreams into reality. Some fail to accept this truth. You do, I am glad about this. Yes, we all face so many things in life...better to focus & think positively! Glad you like my Blog's new look! rather than negativity & falling prey to depression! Thanks Sushree :) Glad you liked!